In times of stress, times of trouble, and times of need the one thing a writer can do, is write. Our experiences, feelings, emotions, thoughts, observations can be used as damning slashing hacking at the establishment or a soothing balm to try to heal wounds and bring the people together. This prompt isn’t about one political leaning over another. It’s about you telling your tale: your feelings, your thoughts, what you observe. 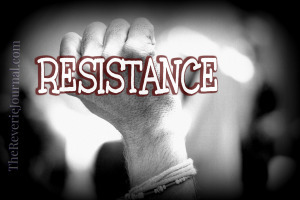 You’ve probably noticed the term “The Resistance” more and more on social media in terms of people who are resisting President Trump’s changes. It’s your turn to be raw. Open. To take the inundation of news, information, fake news, alternate facts, and to process it into something that makes sense to you to share with other.